Our attorneys have exhaustive experience in representing the retailers of manufactured homes throughout the southeast. In addition to the representation of retailers in the manufactured housing industry, our attorneys have represented installers of homes as well. This representation is in the defense of claims alleging fraud, improper setup and installation, negligent transportation, breach of express warranty, breach of implied warranty, Magnuson-Moss Warranty Act claims as well as negligence and breach of contract. It is our goal to provide effective risk management counsel to our clients, to assist them in avoiding violations of numerous HUD regulations as well as state regulations that govern the business of manufactured and modular housing. 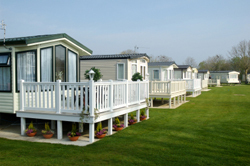 Our attorneys have been involved in a significant number of arbitrations dealing with the manufactured home industry.